Yesterday was a very busy day in my grade 2/3 classroom. 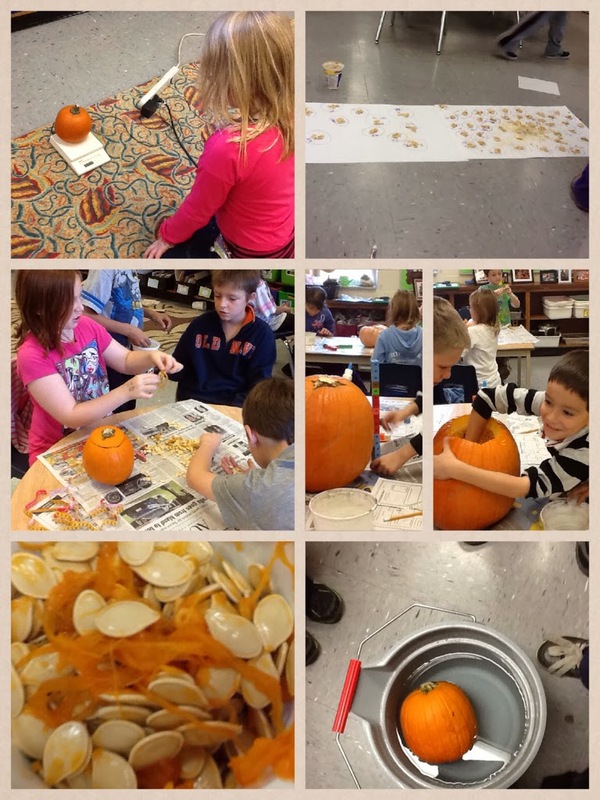 We had joined Jen Wagner's Pumpkin Seed Project. If you have not visited her site, I highly suggest you do. She hosts a variety of online projects that involve many classes from around the world and that tie into the curriculum seamlessly. We asked parents to donate a pumpkin in the name of math, literacy and science for this project. 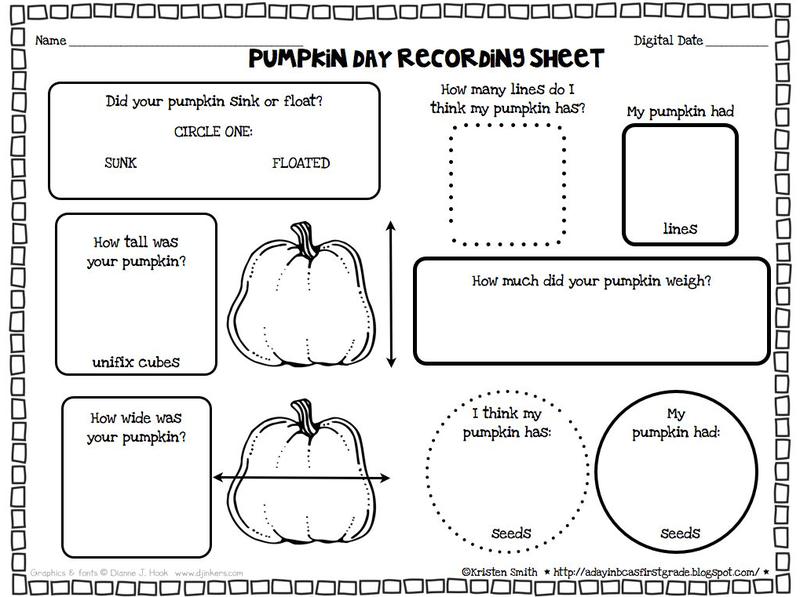 My teaching partner and I were hoping for at least 1 pumpkin per table (we have 9 tables of students) so each table could do their own measuring, weighing, scooping and counting. We were excited to have received 9 pumpkins exactly and 1 gourd that looked like a pumpkin. I started the day off with a KWL chart on pumpkins. 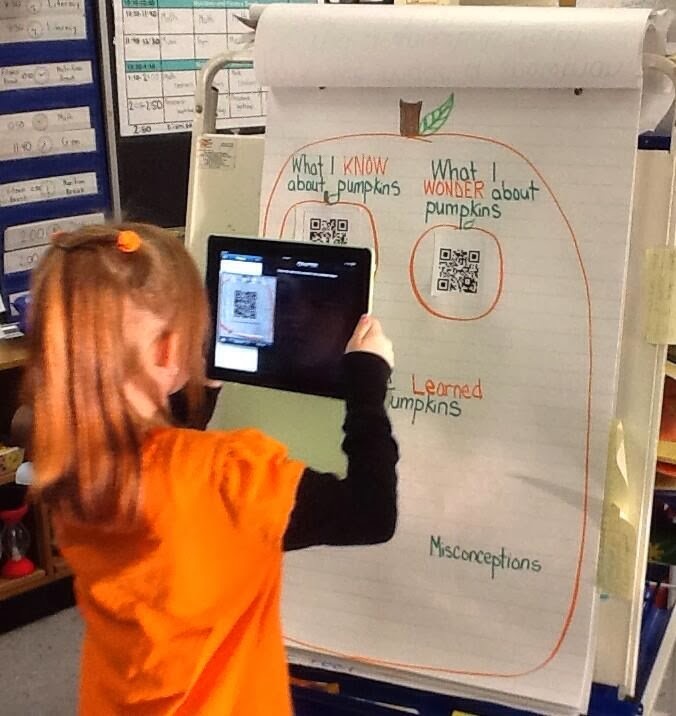 I used Padlet and QR codes to easily navigate the students to the correct wall. We completed the first 2 walls before heading to the tables to do the activities. I then handed out a sheet that I found on Kristen Smith's Blog that was perfect for the activity. Now, this is when my students' started to wow me. You can imagine what our room looked like and sounded like with 40 students measuring, weighing, dropping their pumpkins into buckets of water and scooping the guts out of pumpkins. It was loud and bursting with excitement. With all of this going on, I had many students that came up to me and asked if they could post what they were doing on Twitter. They wanted to poll their peers about if they thought their pumpkins would float or sink, how many seeds were in their pumpkins and we had one pumpkin that they were not sure if it was a pumpkin. I LOVED the idea, and I loved it even more because it came from my students! I heard one of my students say that it was the best day ever and they wanted to share it with all their friends on Twitter. Instead of me standing in front of the class asking, "How many seeds do you think are in this pumpkin?" They were taking the lead and asking their peers on Twitter! How empowering for my 7 and 8 year old students. Can you tell how excited I am? One of my goals was to have my students experience the magnitude of having a PLN like I do each and everyday. Yesterday, they accomplished that goal! At the end of this wonderful day, we read a fantastic book that I have to mention, that went perfectly with the day. 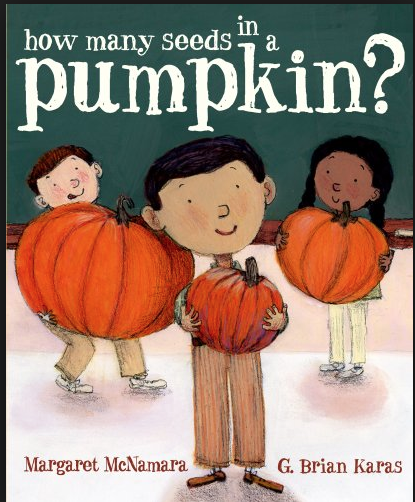 It is titled "how many seeds in a pumpkin?" When we finished the story, children filled out our final padlet wall and then to my surprise some of the students asked if they could blog about their day before they went home. Again, tying in that authentic audience increased engagement, excitement and a willingness to write! I just love all of your ideas! Thanks so much for sharing. Holy cow. What an amazing integration of technology, science, math and teamwork! I envy you.